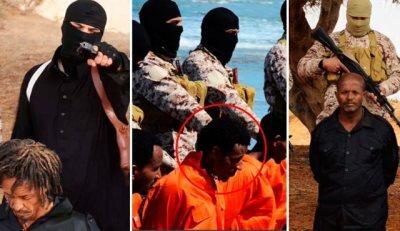 AFRICANGLOBE – ISIL has kidnapped three African Christians in eastern Libya, the group said, publishing their passport pictures. The men come from Egypt, Nigeria and Ghana, ISIL said in a statement on social media, without elaborating. The kidnapping took place in Noufliyah, an ISIL stronghold southeast of the city of Sirte, said a resident, asking not to be named. Mohamed El Hejazi, a military spokesman loyal to the internationally recognized government based in the east, also said the abduction happened in the small town. The armed group has expanded in the North African country by exploiting chaos and a security vacuum like it did in Iraq and Syria. ISIL militants have beheaded dozens and attacked foreign missions in Tripoli, while also fighting forces loyal to Libya’s two government. The official government has been based in the east since losing control of the capital Tripoli a year ago when a rival group called Libya Dawn seized it, setting up its own parliament and government.